Young Professionals with Pride (YPP) is a community networking group for LGBTQ and allied young professionals. We create an intentional space for young folks of all identities to connect, network, learn, and grow as professionals and people. We are a program of GSBA, North America's largest LGBTQ and allied chamber of commerce. This month, we're coming together with our friends and communities from SOMOS Seattle: an Seattle-based organization by and for LGBTQ Latinx folks. Additionally, Washington State Supreme Court Justice Gonzalez will join us. + Ice cream by Street Treats! + Drinks by Southern Glazers Kettle One Botanicals! + Beer by Fremont Brewing! + Photos by Nate Gowdy Photo Events & Weddings! + Music by DJ MIXX America! + Your registration includes all food, drinks, snacks, and ice cream! Wheelhouse Digital Marketing Group // 2356 W Commodore Way, Suite 200, Seattle, WA 98199. Street and lot parking are free. Bike lock-up space available. Follow the signs on the street and building to reach the venue. There are stairs and an elevator to reach the Wheelhouse DMG office. 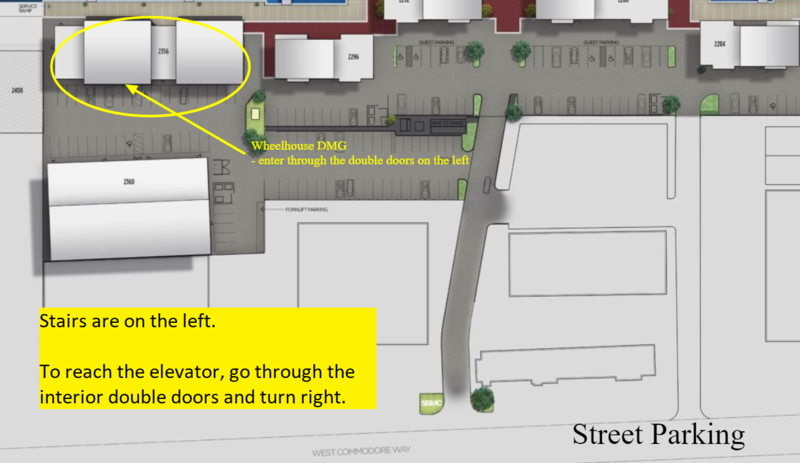 See diagram for directions for parking and finding the building. How do you define 'young professionals'? Ages 21-39, LGBTQ and allied people. We are welcoming to all identities, backgrounds, and professions. We're here to help: office@thegsba.org. Young Professionals with Pride (YPP) events are an excellent way to meet civic and community leaders, build relationships with other LGBT and allied professionals (21-39), and to take advantage of opportunities to increase personal and professional networks through social, educational, and philanthropic activities. A priority of YPP is to be inclusive of everyone’s professional experiences and to build bridges between all identities of the LGBTQ and Allied communities.